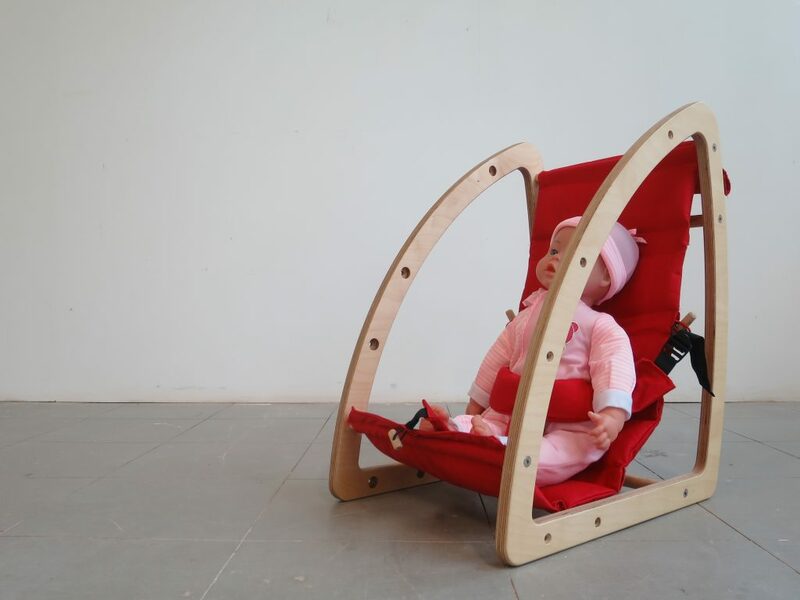 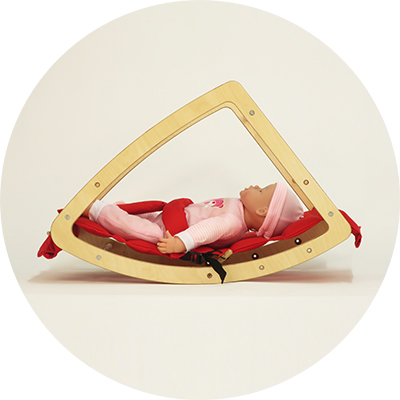 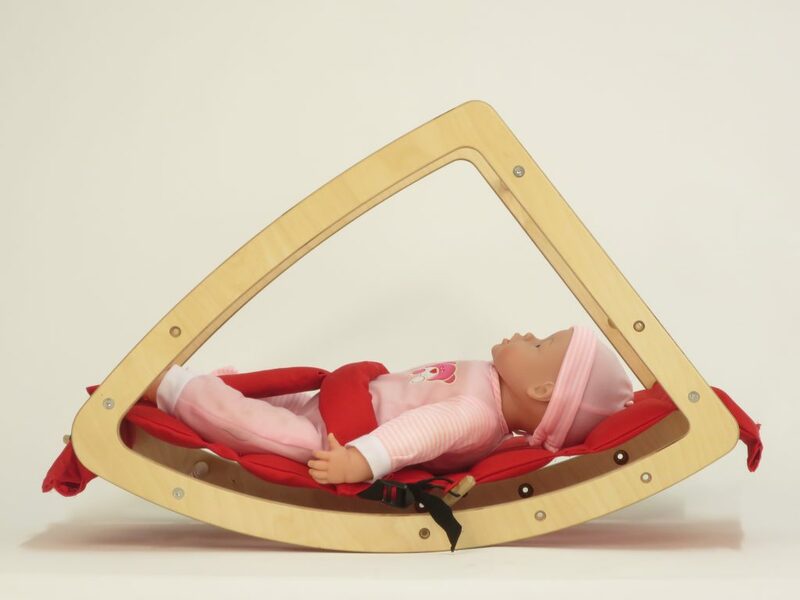 TRID, transformable furniture that can be used from birth to adulthood, with three different functions: cradle, bouncer and chair. 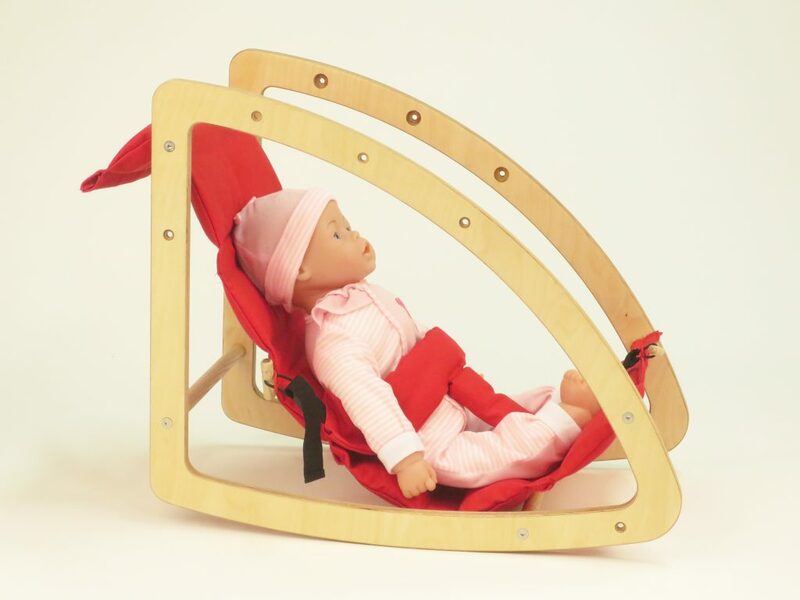 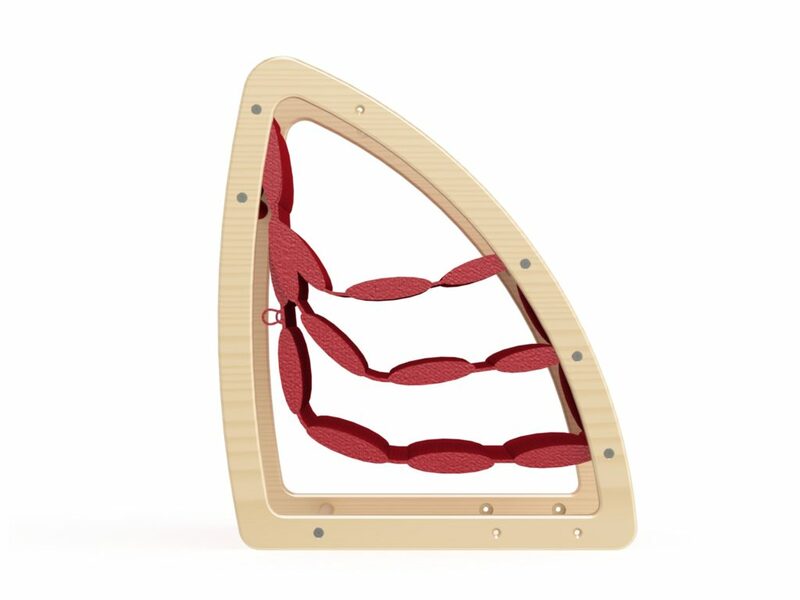 It has two different rockers which give the user comfortable swinging movements and seating experiences. 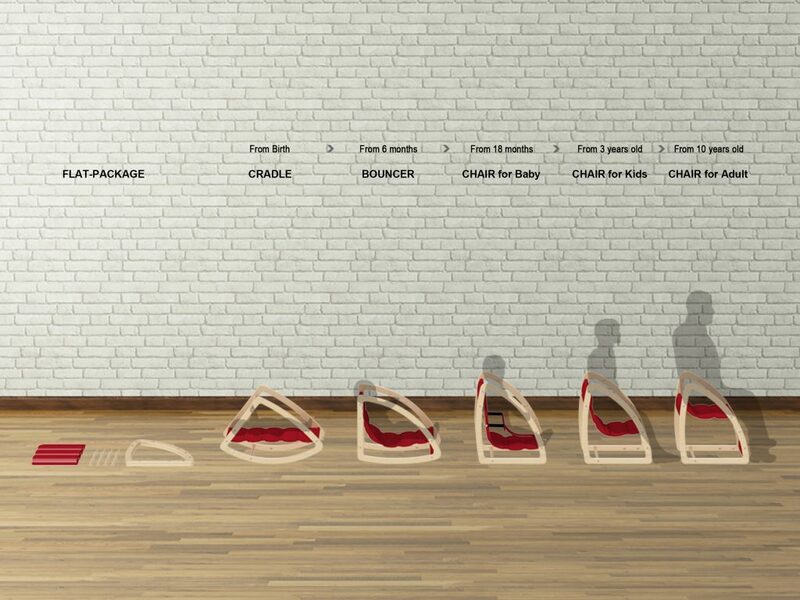 These curvatures are based on the research that a sharper rocker is comfortable for people with a smaller build while a more gentle rocker is comfortable for those with a larger frame. 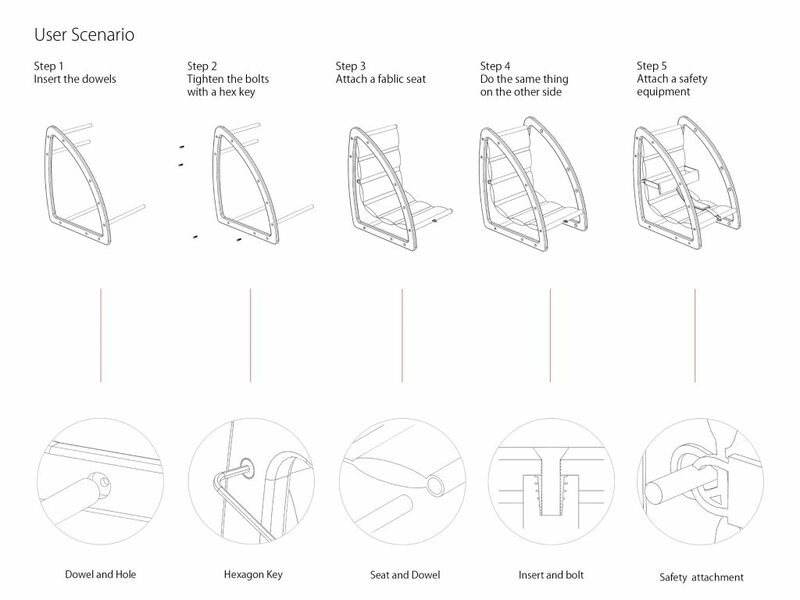 This furniture can be assembled in various shapes by yourself with a hex key, so this can be kept flat when not in use, saving cost and space for replacement. 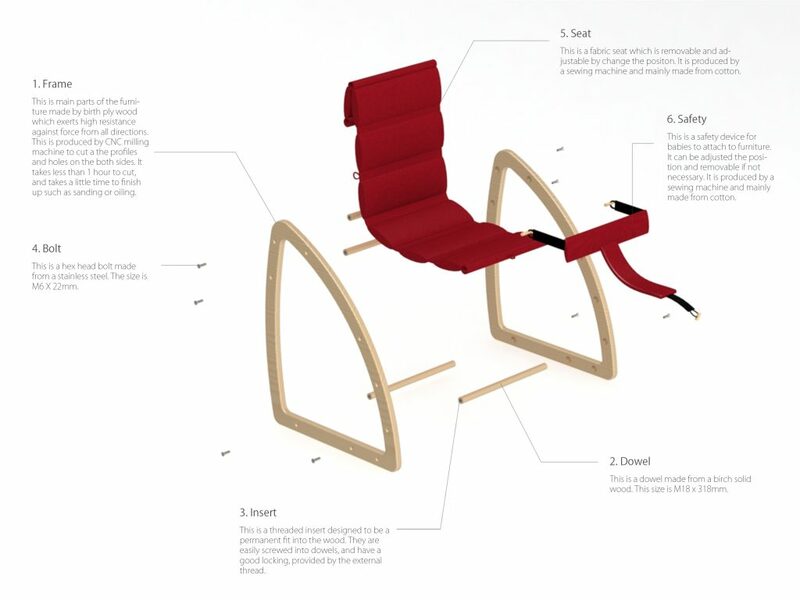 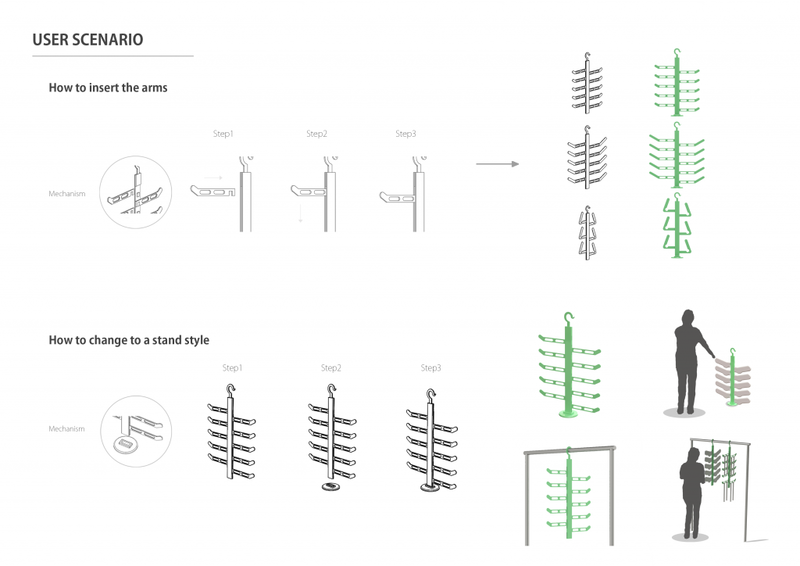 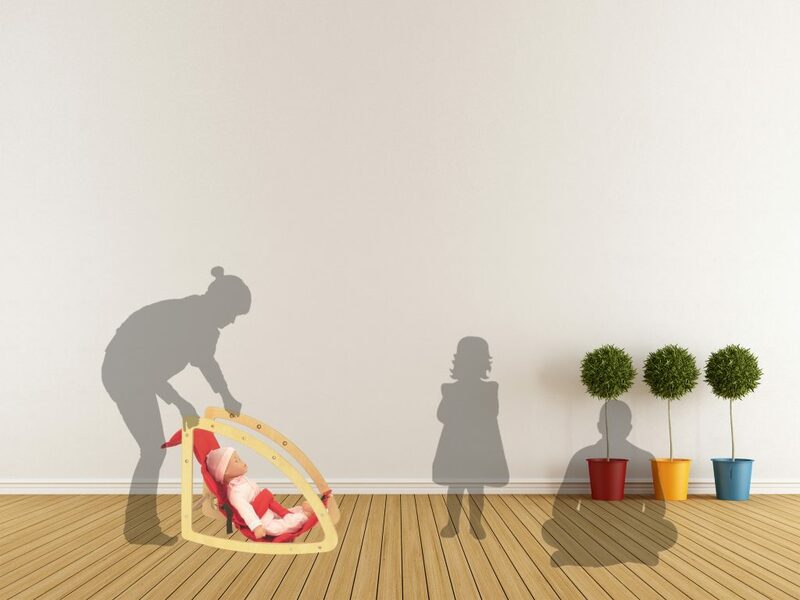 Therefore, the TRID is a multifunctional piece of furniture which can be continuously utilized by changing the application to the one suited to the growing process of a human. 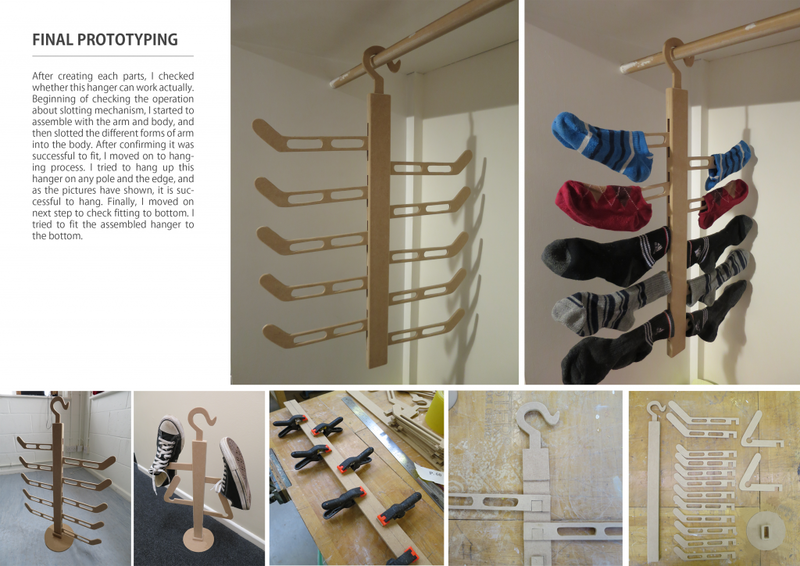 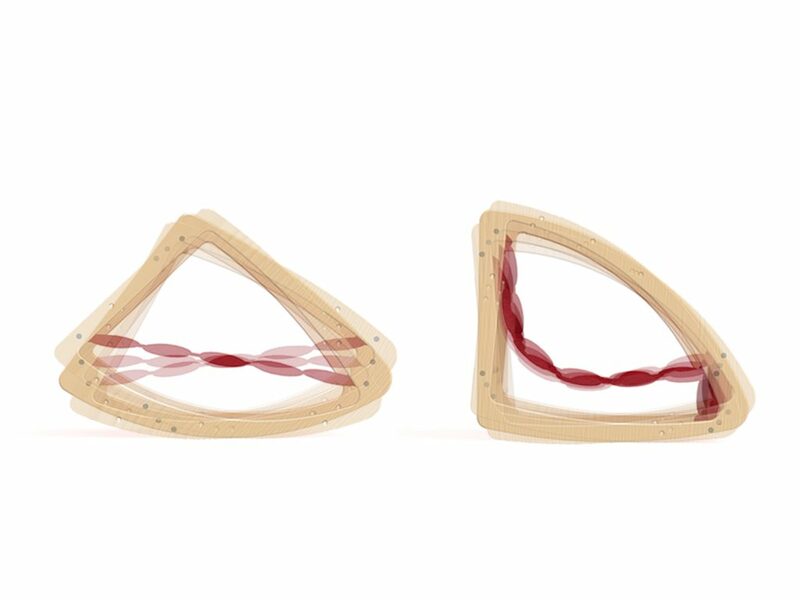 This is a modular hanger for socks or shoes. 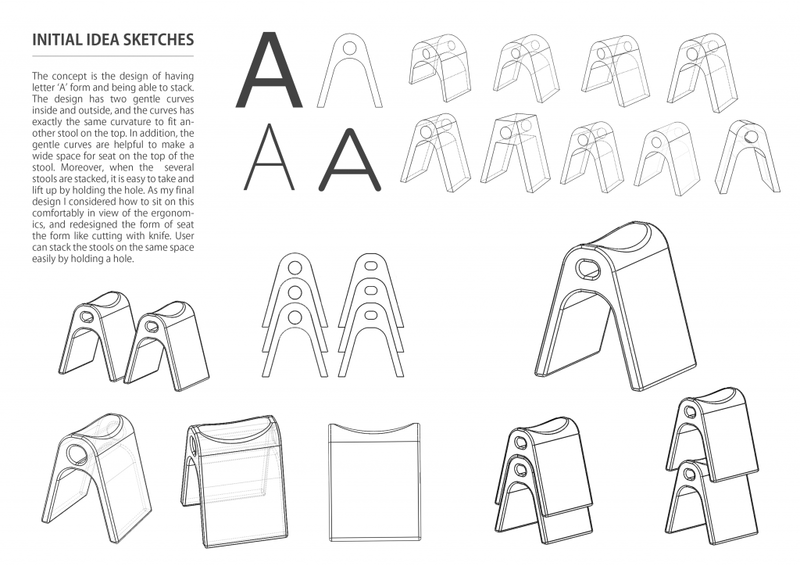 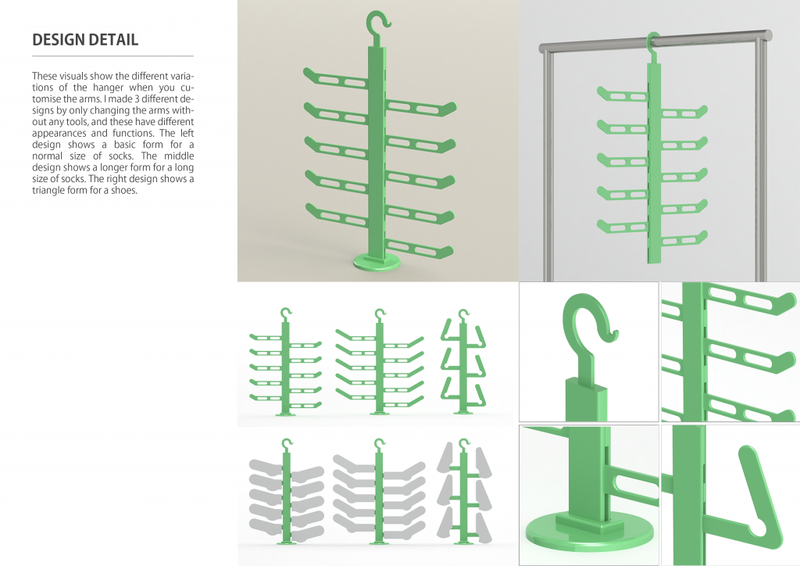 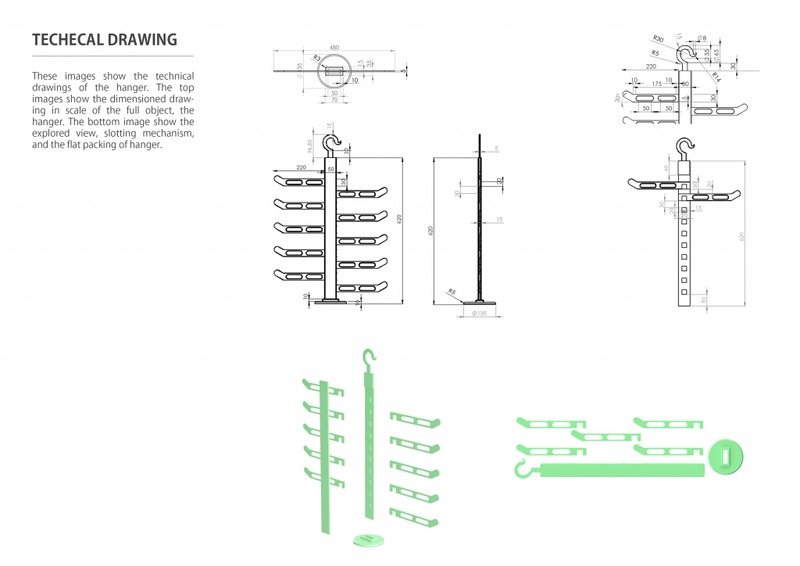 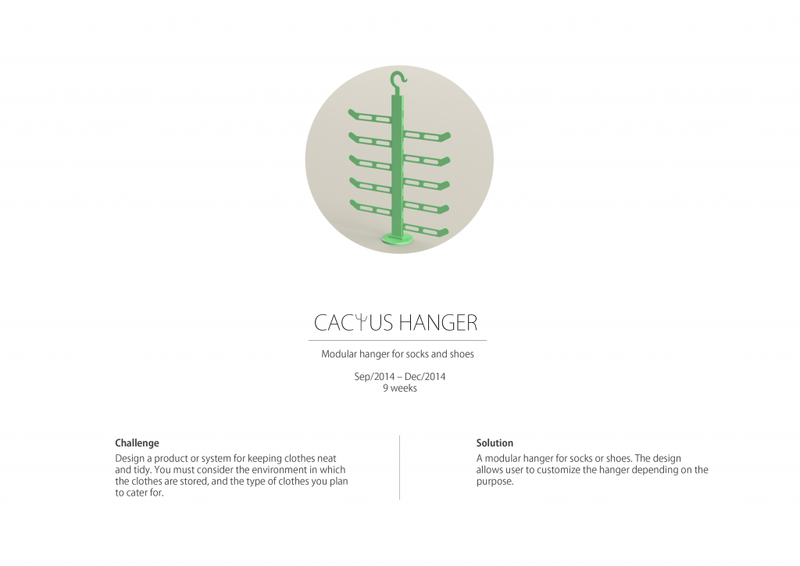 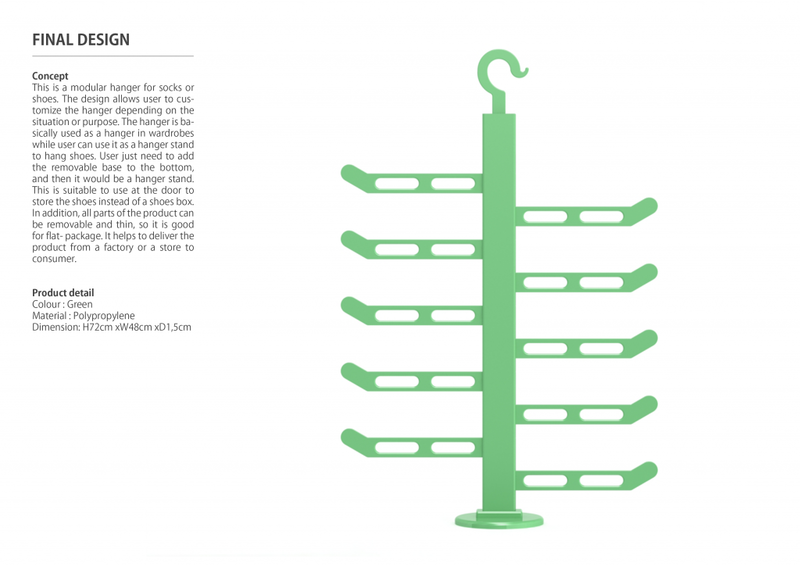 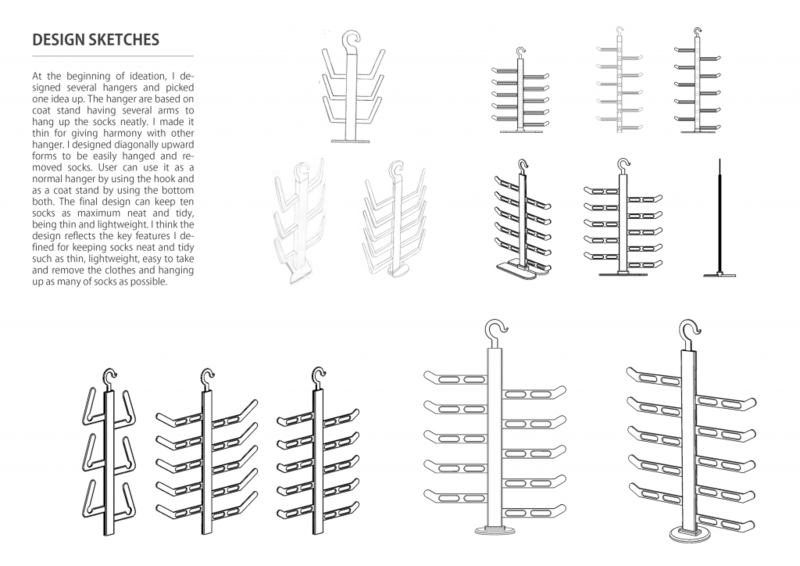 The design allows user to customize the hanger depending on the situation or purpose. 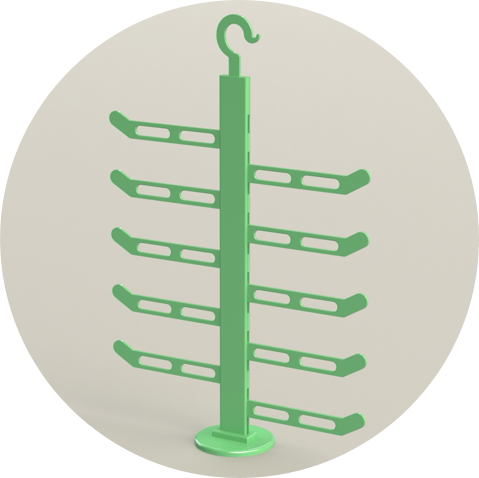 The hanger is basically used as a hanger in wardrobes while user can use it as a hanger stand to hang shoes. 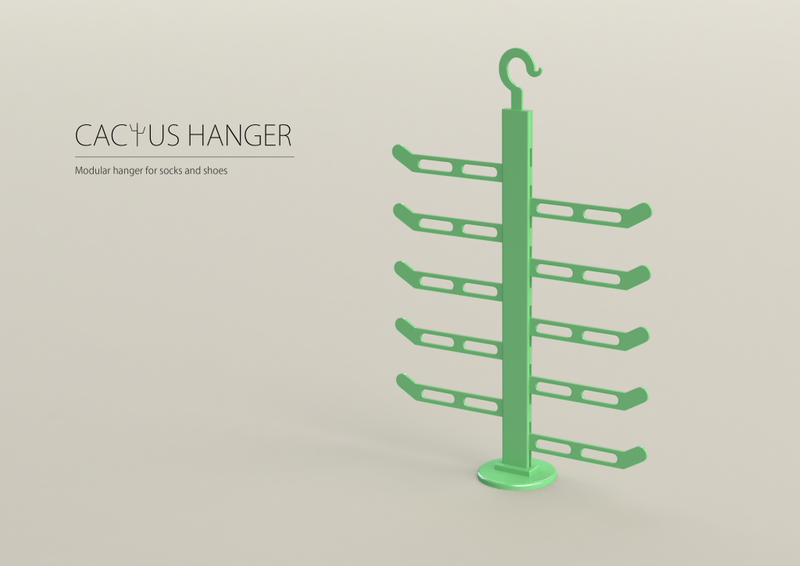 User just need to add the removable base to the bottom, and then it would be a hanger stand. 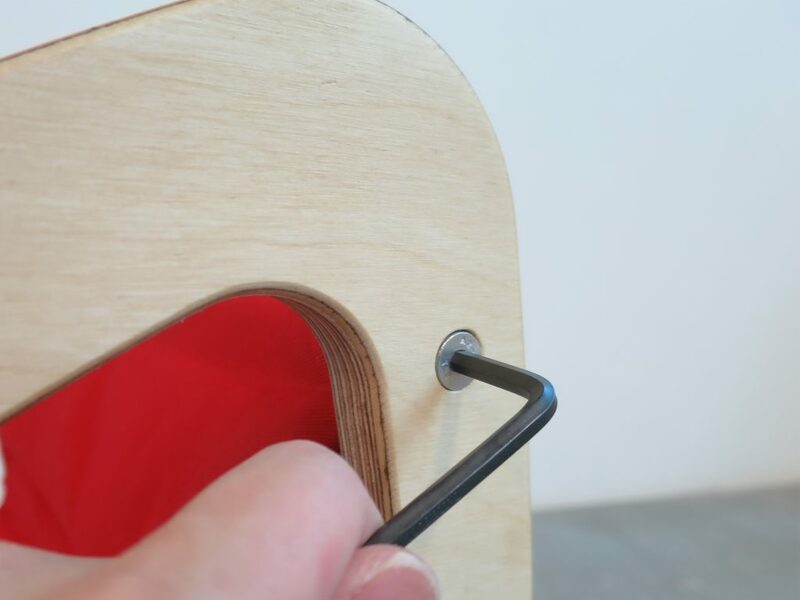 This is suitable to use at the door to store the shoes instead of a shoes box. 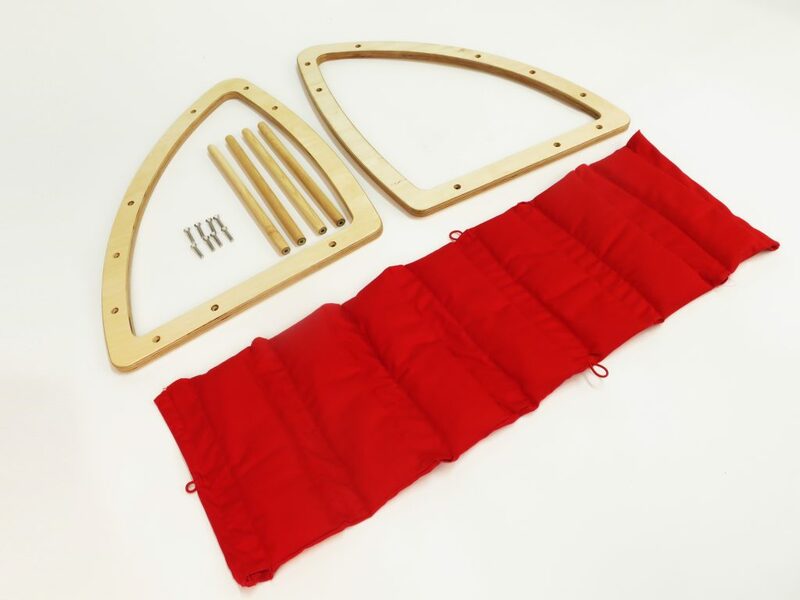 In addition , all parts of the product can be removable and thin, so it is good for flat- package. 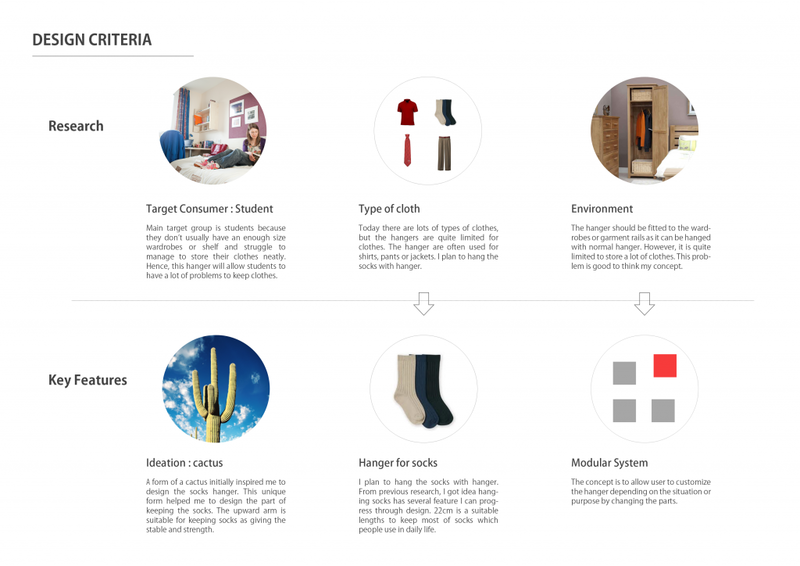 It helps to deliver the product from a factory or a store to consumer. 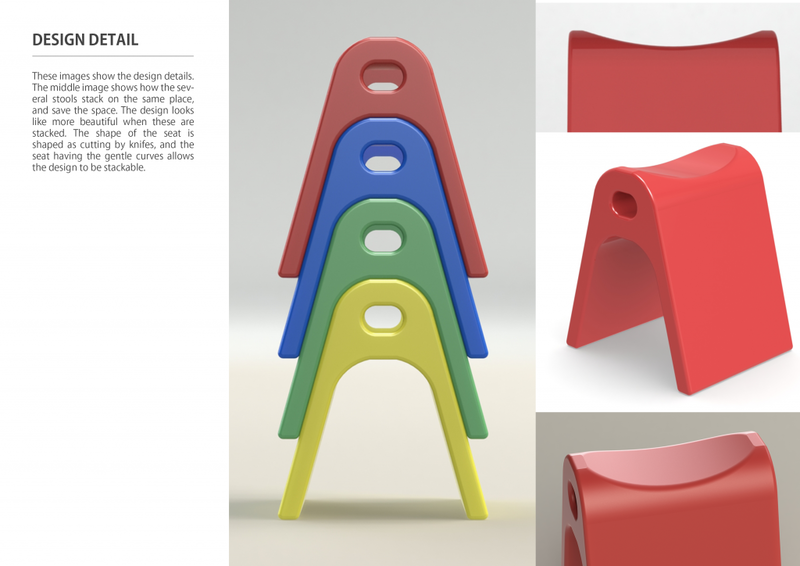 This is a simple stackable stool having a sophisticated form and function. 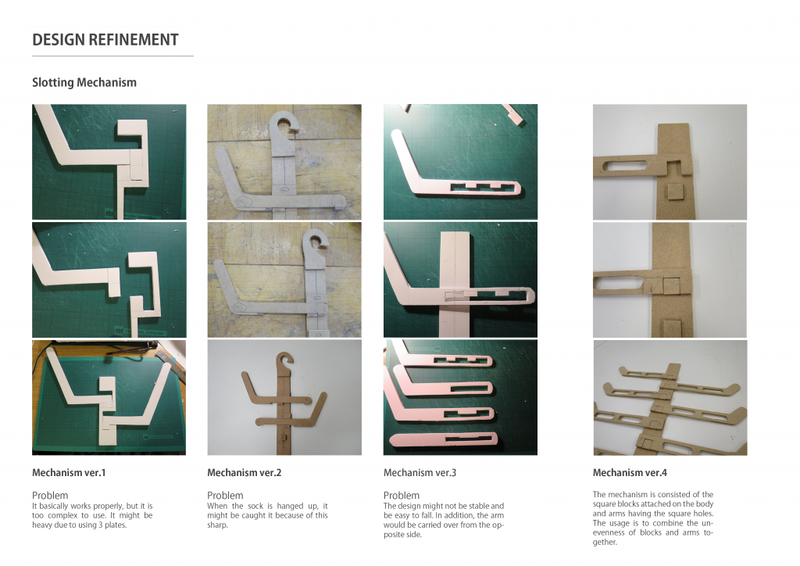 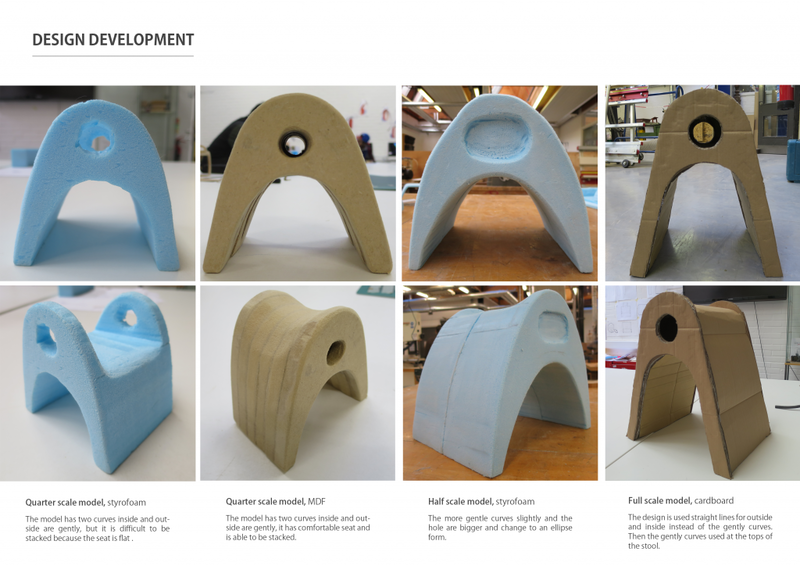 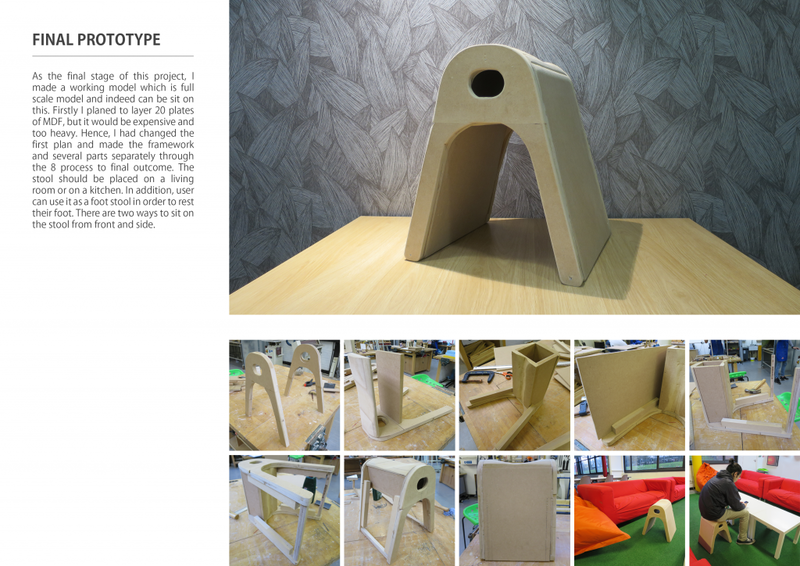 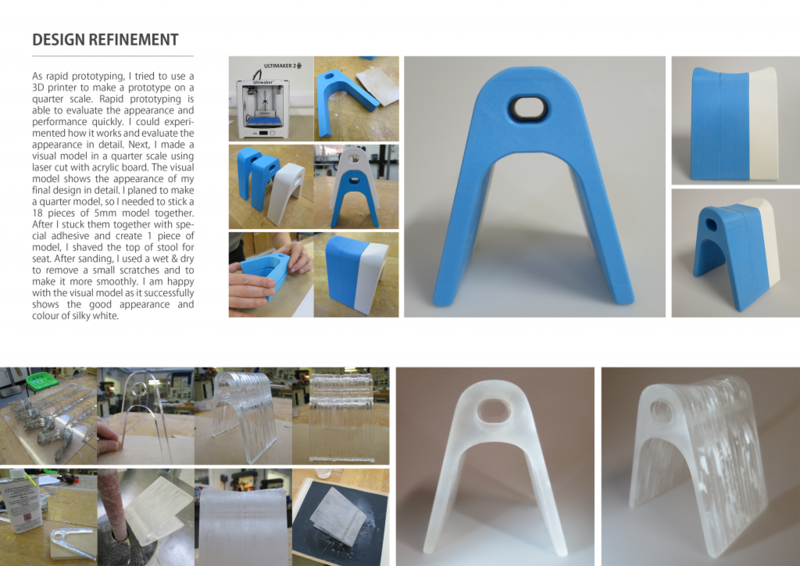 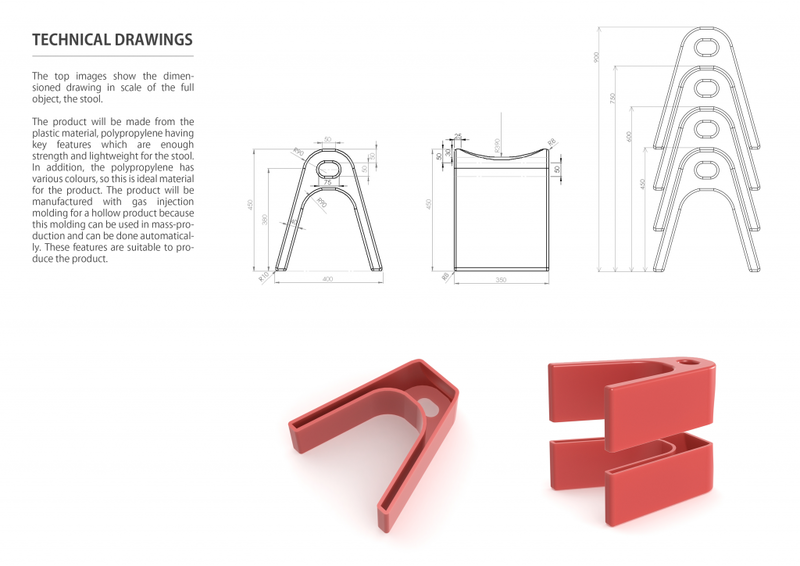 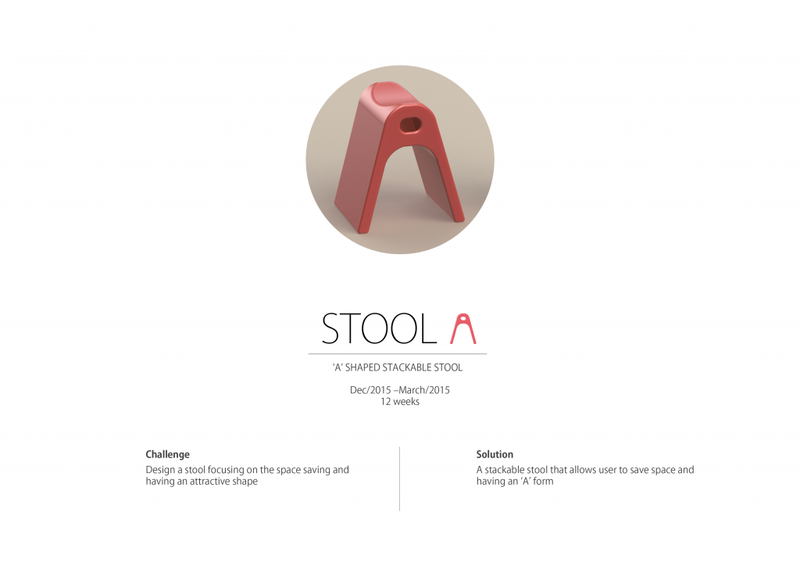 The brief mentions that a stool focusing on the space saving which a common constraint is a greater challenge. 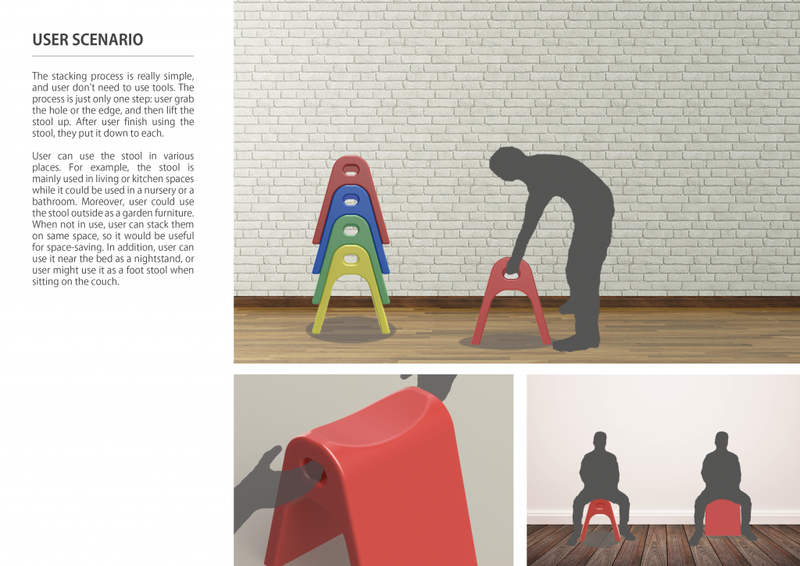 The product is stackable, so user can store several stools on the same space as one. 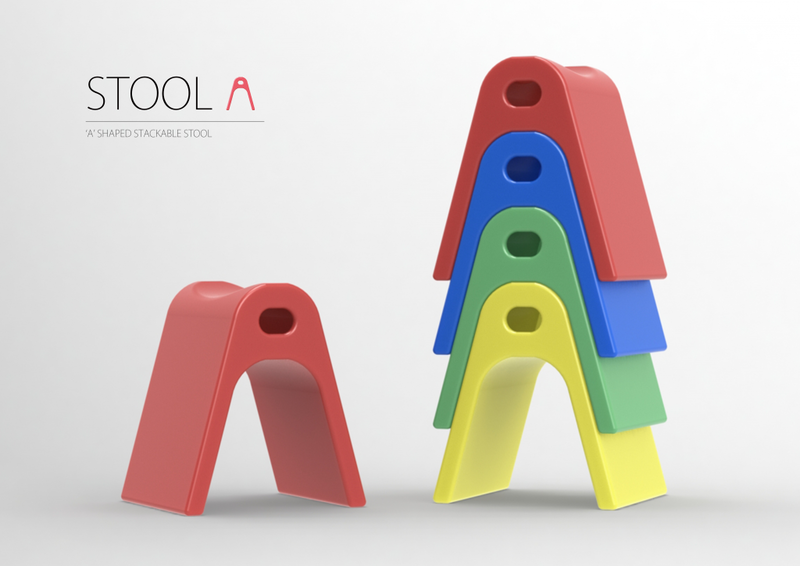 The name of this product is ‘Stool A’ because one idea which inspired me more to design a stool is ‘A’ letter having common and friendly forms. 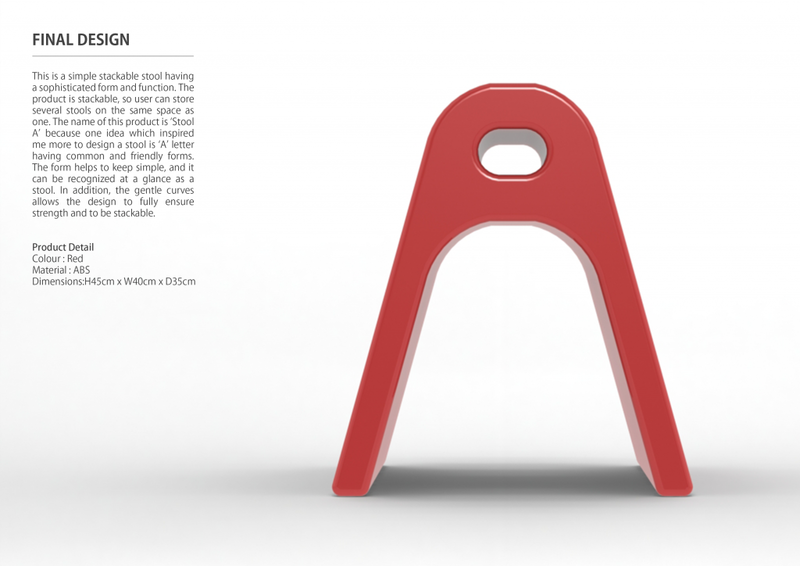 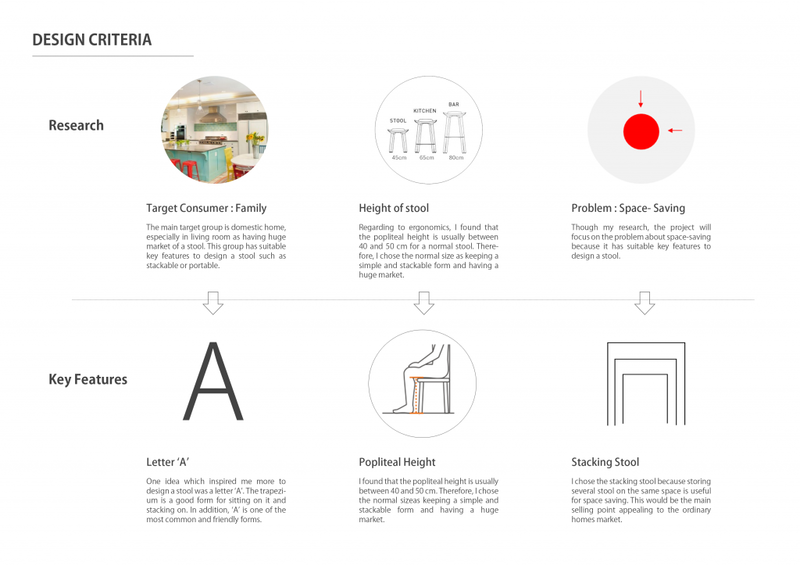 The form helps to keep simple, and it can be recognized at a glance as a stool. 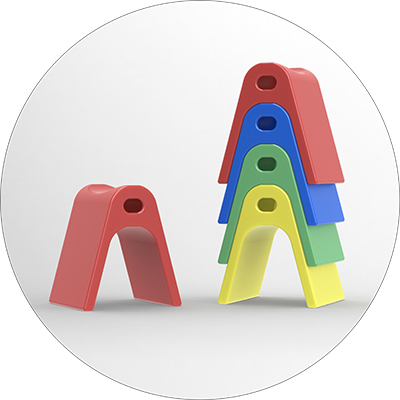 In addition, the gentle curves allows the design to fully ensure strength and to be stackable. 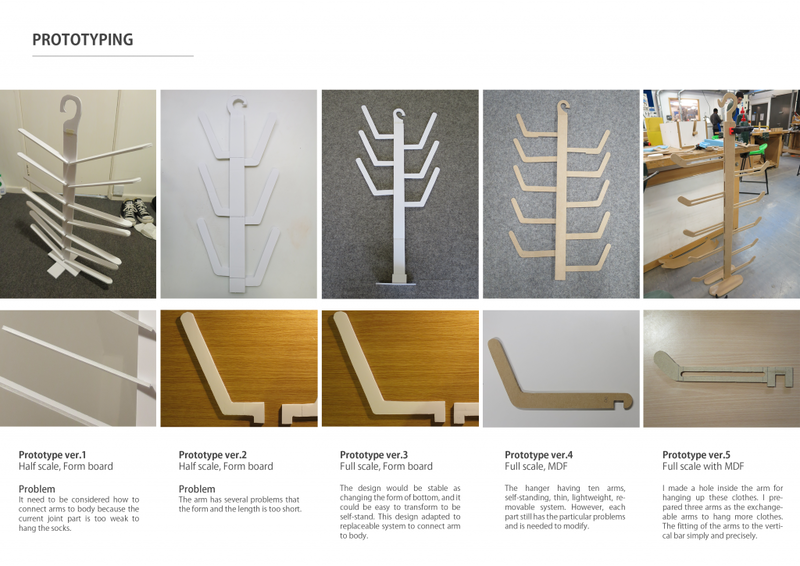 The stacking process is really simple, and user don’t need to use tools.